JamesBl0nde & BakermanBrad spend time with GreyBox in the secret underground Dreadnought lair playing the latest alpha build of the game! 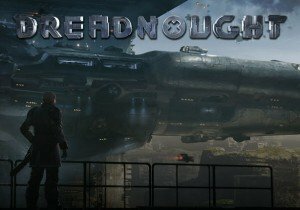 Dreadnought is a multiplayer “aerial armada” game, a spaceship shooter featuring massive dreadnoughts and cruisers. The game offers five core ship classes: Dreadnought, Destroyer (Assault), Corvette (Scout), Artillery Cruiser (Sniper), and Tactical Cruiser (Support). Each ship offers unique skills and advantages in battle, and can be specialized to let players hone in on certain gamestyles. Ashes of Creation: Apocalypse, the battle arena spin off of Ashes of Creation, is currently hosting an open beta weekend!